I did not give so much attention when my niece, whose husband works in a US base in South Korea, gave me this Tony Moly Intense Care Snail Foam Cleanser. I didn't know then that this cleanser is popular and also a bit expensive. I just thought that since it was from South Korea, it must be good. I've heard and read stories about how good Korean beauty products are. Now, as you can see in the photo below, my Tony Moly Intense Care Snail Foam Cleanser is almost used up, as I kept using it after seeing it's very effective for me. I use it only once a day, when I take a bath, and there were only a few times when I used it twice a day. After applying it to my face and then rinsing it, I get this fresh and clean feeling, and ready to face the world. 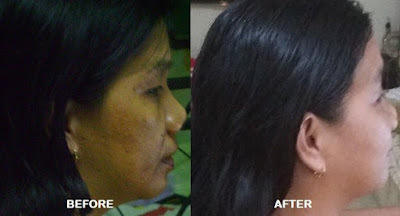 After a few weeks of use, I noticed the skin on my face getting clearer, cleaner and smoother and whiter. As you see in my photos below, there's really a clear change. 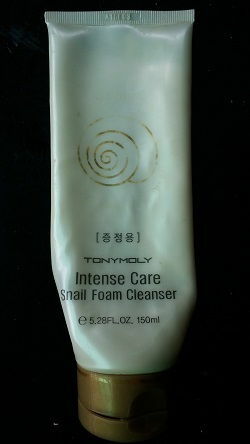 I should mention here that I don't get anything from Tony Moly for raving about this Tony Moly Intense Care Snail Foam Cleanser. I just felt that I wanted to contribute something to this beauty blog. I thought before that Tony Moly was a name of a person, probably the founder of the company. I researched, and it's not a person's name. Just two meaningful words put together. "Tony" means nice and trendy and "Moly" means 'included" or "employed" in Japanese. The company was founded in South Korea in 2006.